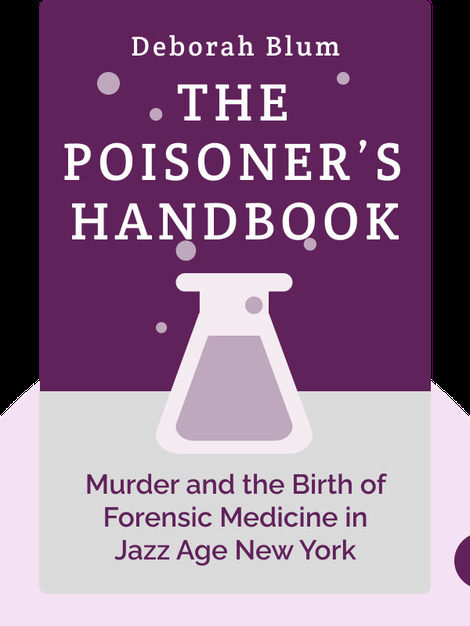 The Poisoner’s Handbook details the work of New York City’s first scientifically trained medical examiner, Charles Norris, and his partner, Alexander Gettler, the city’s first toxicologist. 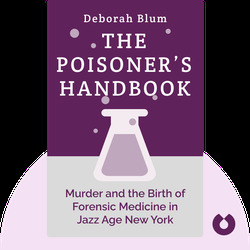 It offers an insider’s view of how forensic science really works by walking readers through their investigations into notorious and mysterious poisonings. Deborah Blum is an American professor of journalism who writes for the New York Times and blogs for Wired. She received a Pulitzer Prize in 1992 for a series of articles entitled The Monkey Wars, and is also the author of Ghost Hunters.